Haha, what can I say about this book(let)? 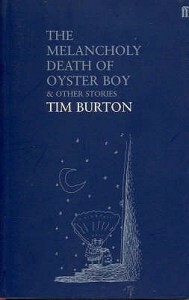 I knew before I was a fan of Burton's work, and The Melancholy Death of Oyster Boy has only confirmed this. Not at all what I thought it would be when I picked up this book, but it turned out to be a real treat. Something to read over and over again in the years to come, I'm sure!